MPSC Civil Judge Admit Card 2019: All the candidates who are awaiting their MPSC Civil Judge Exam Hall Ticket are reminded that the MPSC will soon release the exam admit card on the official website of the Maharashtra Public Service Commission @ mahampsc.mahaonline.gov.in. We request that you stay in touch with us on this page for all the latest news regarding the MPSC Civil Judge Admit Card 2019. The MPSC Civil Judge Exam will be conducted in the state of Maharashtra in Aurangabad, Mumbai, and Nagpur. We recommend that you bookmark our page so you can revisit it immediately as soon as there is more news regarding the MPSC Civil Judge Exam 2019. The Exam is set to be conducted on 7th March 2019. Kindly find more details provided below. 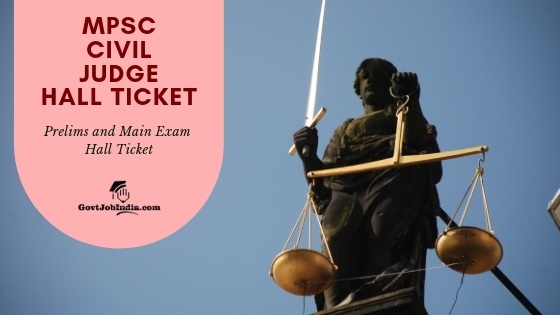 All the details you need regarding the MPSC Civil Judge Prelims and Main Exam and Aso the MPSC Exam Hall ticket 2019 are available on this page. So kindly make sure that you go through this page once in order to get all the details you need regarding the same. The MPSC Civil Judge Hall Ticket has not been released yet. On the official notification pdf of the MPSC, they have mentioned that the exam admit card will be released 7 days before the exam is conducted. Candidates can download their admit card from the link we have provided below. Kindly check out the link we have provided below in order to download your MPSC Civil Judge Admit card online. 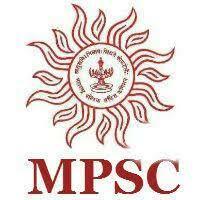 The link will lead you to the official website of the MPSC. After you have authenticated yourself on the website by logging in, you should e able to download your exam admit card. We have provided links to download the MPSC Civil Judge Prelims and Main Exam Admit card. Since the Prelim is set to be conducted on the 7th of March 2019, candidates can expect to receive their exam hall ticket at the start of March or late February. The MPSC Civil Judge Prelims Exam is set to be conducted. All the candidates who pass in this exam will be eligible to appear for the MPSC Civil Judge Main Exam. The Main Exam dates have not been revealed yet. The MPSC may make this announcement soon after the Prelims is conducted. For more in-depth information regarding the MPSC Civil judge Main Exam and prelim Exam with details pertaining to the exam syllabus and paper pattern, kindly visit our dedicated page for the same which has been linked below. How to download MPSC Civil Judge Exam Admit Card Online? You can follow the simple guidelines provided below in order to download your Civil Judge Exam Hall ticket Online. The first step is to visit the website of the MPSC. Once you are on the website, it is essential that you log in using your login id and password. Once you have logged in, the Civil Judge exam admit card should be available in your profile. Keep in mind that the admit card will only be available if it has been released by the PSC. Download the Exam Hall ticket and take a printout. You will be expected to carry this print out with you to your exam on the 7th of March. Make sure to revisit this page in order to download your exam hall ticket. We are constantly updating this page with the latest news and updates regarding the MPSC Civil Judge prelims and Main Exam. If you have any doubts regarding the exam or the hall ticket then make sure to comment down below. All the best for your exam!